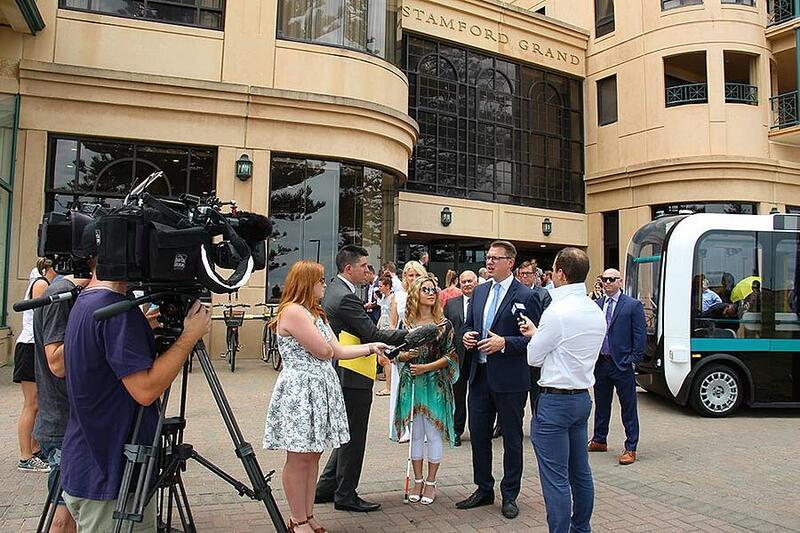 SAGE Automation has helped to achieve transport history with the Australian debut of ‘Matilda’ – the world’s first smart transit hub – as part of a landmark integrated trial with a driverless shuttle in South Australia. 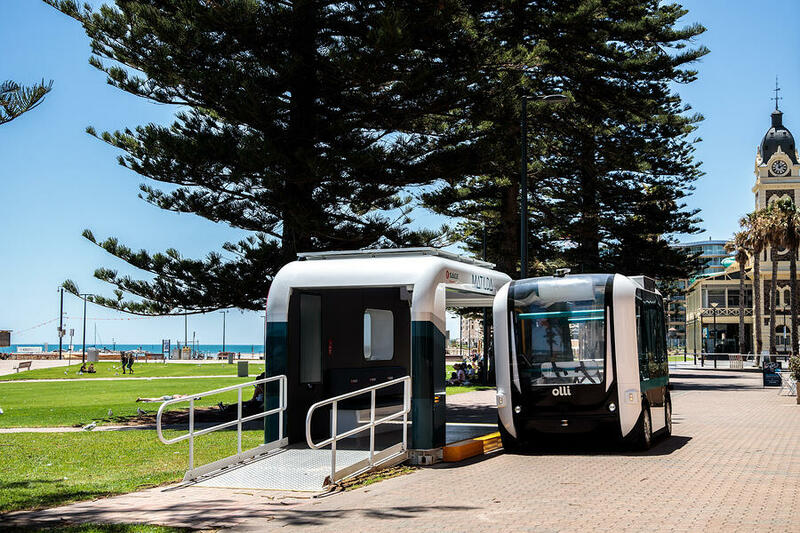 The locally-developed and manufactured Matilda, will partner with the Olli driverless electric shuttle developed by the US-based Local Motors for the milestone 6-month trial at Glenelg. One of the Matilda smart transit hubs is located outside the Stamford Grand and another is adjacent to the Broadway Kiosk, with the Olli shuttle taking passenger between the two stops along the beachside route. “This type of integrated technology trial has never been done anywhere in the world before, and we look forward to giving people an interactive, personalised experience, including real-time travel updates and route assistance through Matilda, and testing how this exciting technology interacts with the Local Motors driverless shuttle,” said SAGE Chief Executive Officer, Adrian Fahey. 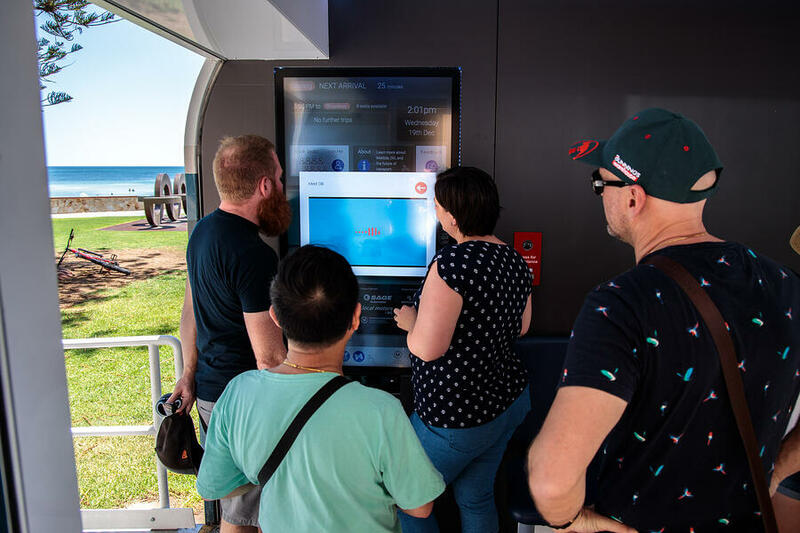 “Passengers can ‘talk’ to our Matilda transit hub, receive directions, book a ride using touchscreen technology, receive congestion alerts and even ask questions about local tourist attractions or where to get a cold drink,” he said. The trial demonstrates how a first-and last-mile transport solution can integrate with existing public transport, fill any service gaps and reduce traffic congestion in heavily-populated urban spaces. It also showcases how driverless technologies can share public space with pedestrians, cyclists and recreational activities. Relocatable within a few hours, each Matilda runs on solar or battery power and is fully self-contained, meaning that it can easily be trialled at different ‘first' or 'last mile’ locations. That unique flexibility allows the smart transit hub to be rapidly deployed for network maintenance and downtime periods, used during temporary deployment during special events, and for testing demand for new public transport services. Mr Fahey said the trial will be monitored in real-time from SAGE Automation’s state-of-the-art National Operations Centre as part of the trial’s operational and maintenance support, ensuring a high level of security for autonomous vehicle operators and users, and providing data to enhance future deployments. “In addition to leading edge technologies such as IBM Watson and KinTrans systems, each Matilda features audio and visual cues to assist anyone with visual and hearing impairments, as well as making it easier for elderly commuters and those with disability,” he said. 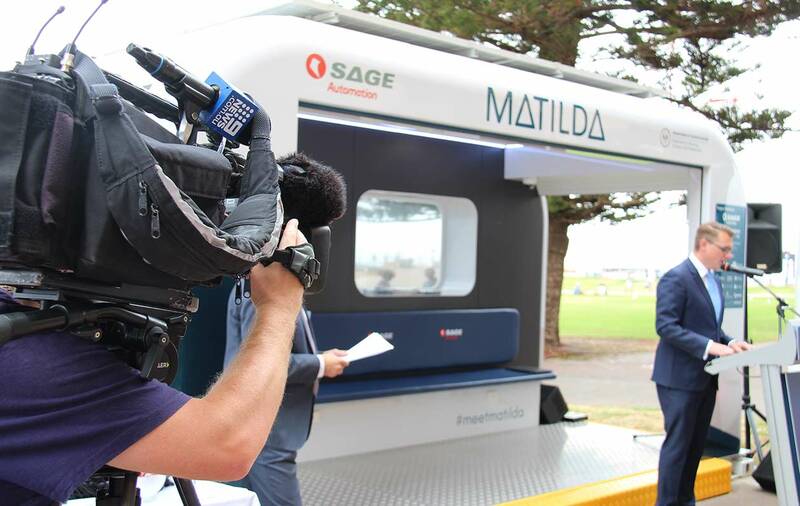 Watch the report here about Olli and Matilda at Glenelg. Olli will be travelling at a walking pace during the trial and will carry up to eight passengers and a steward onboard. People will be able to ride at no cost and can book a seat at each Matilda via the interactive screen or online via www.SAGEAutomation.com/matilda. 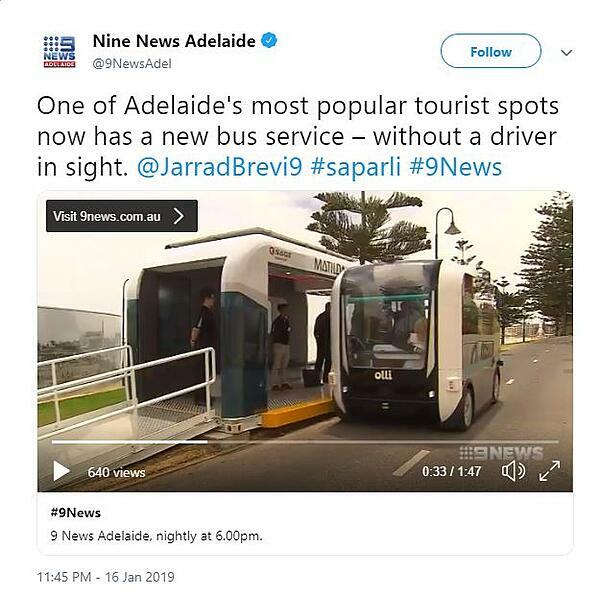 South Australian Minister for Transport, Infrastructure and Local Government, Hon. Stephan Knoll speaks at the launch event at Glenelg. Media interview singer Rachael Leahcar and Minister for Transport, Infrastructure and Local Government, Hon. Stephan Knoll. 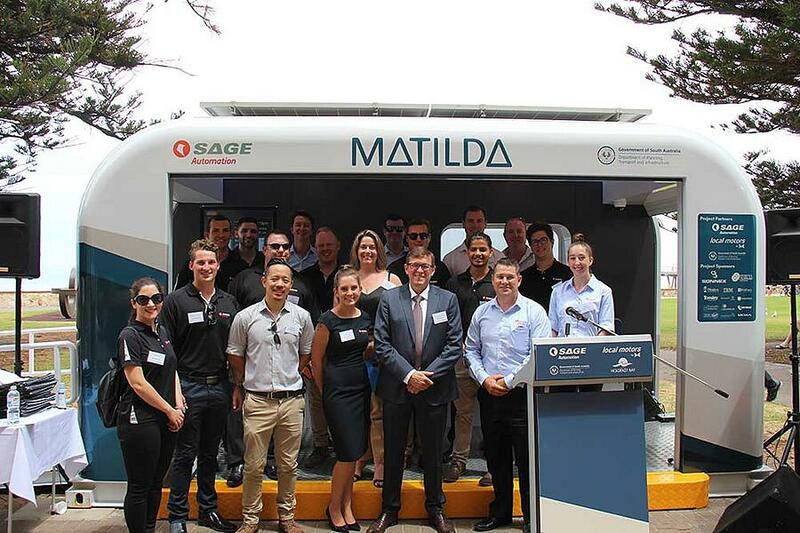 SAGE Automation's Matilda team with SAGE Group Managing Director and Founder Andrew Downs. Some community members talk to Matilda. How do I ride Olli?